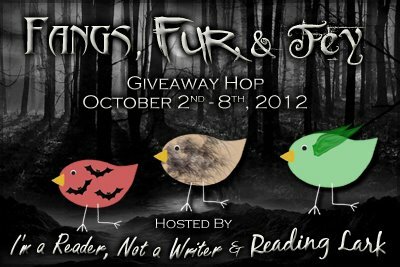 Hey yall, welcome to my stop on the Fangs, Fur, and Fey giveaway hop! I have a few awesome books for my winner to choose from, but how about a little eye candy first? This would mean vamps, right? Here are my faves!! Those are some yummy boys 🙂 Who could choose a fave! Sooooo, what do I have for you to win? CLICK HERE TO ENTER THE GIVEAWAY!! Posted on October 1, 2012, in books, free, Giveaway, reading. Bookmark the permalink. 32 Comments. Oh! Swoon!!! I think I’ll just keep staring at this post…if you don’t mind. I’d pick Ash, and he’s from the Iron Fey series. 😀 Thank you! BTW; I’m Tanja on Rafflecopter. YUM. I think I’d pick Alcide from the southern vampire series…although I prefer him in True Blood to the books lol. Thanks for the great giveaway! So hard to pick but I’d choose-Tyler Lockwood from Vampire Diaries! Ash definitely! He is from the Iron Fey series! Alcide Herveaux. OMG, he is gorgeous. I’d choose Tamani from the Wings series! The Salvatore brothers ARE hot, but Ash…yummy! oy? Hmmm tough choice. I would most likely go with Nick (Invincible – Sherrilyn Kenyon) for the exitement or Sam (Shiver – Maggie Stievater) for his devotion to Grace. Eric is one of my cousin’s faves. He’s from the Sookie Stackhouse series (AKA Southern Vampires), and the True Blood TV series. Alcide from Sookie Stackhouse Books and True Blood Show. I’ll have to choose Ash from Iron Fey series. No boys, just books for me at the moment! But oh, that Alcide Herveaux is interesting! Oh, yum! Eric Northman!! Sookie Stackhouse series!! Definitely Alcide Herveaux (Joe Manganiello) from True Blood is incredible! (I also LOVE the Sookie Stackhouse series by Charlaine Harris)!